Have you ever want a one stop report that shows all your SCCM information? A report that you could use every morning to see the status of your SCCM site ? 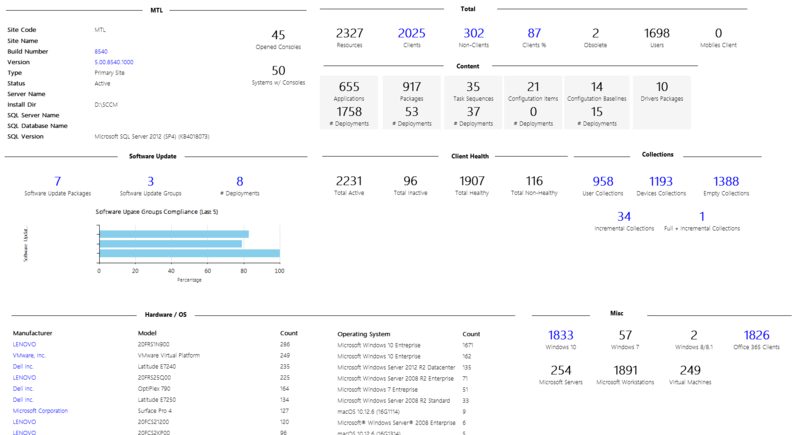 Our SCCM Dashboard Configuration Manager report shows all that ! This report is linked with many of our reports giving you the best drill-down experience. SCD is operated by Stripe. Majors Credit cards are accepted.